“Organic’’ seems to be an increasingly popular word, as many people become aware of the importance of what we are consuming and where it is coming from. More farm-to-table restaurants are sprouting up around the globe and enjoying success as chefs insist every aspect of their meals benefits from local, sustainable and organic growing; not only are colors and tastes enhanced for consumers, but they can also eat assured knowing they’re not ingesting chemicals, nor harming our environment. For those of us who are curious or concerned about our health (and that of the environment), eating organic produce is an obvious practice. Farmers, nutritionists, scientists and experts believe organic foods and farming are the best choice to make when available. When we think about what we’re putting into our bodies, it includes more than what we purchase at grocery stores and while dining out… it’s time to learn about and discuss the benefits of organic cannabis. 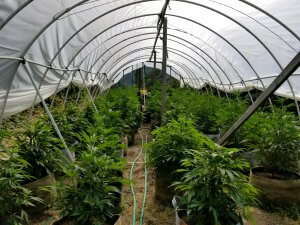 The methods of growing cannabis plants are not much different than those of other crops and therefore it’s important to understand the process and what, if anything, is added to the soil or plant before it is inside your body. Organic farming uses absolutely no pesticides or chemicals in the soil or on the plant; it relies on the natural resources of clean water, sunshine and compost fertilizer. A significant point to note, regarding cannabis flowers, is that many of the chemical agents used in inorganic practices turn into carcinogens when they are heated (read: smoked) — this means you are getting “high” off of the chemicals and pesticides and not actually the natural THC component of the plant. For those who consider THC percentage to be an important factor when choosing a cannabis product, it’s impossible to ignore the role pesticides play in terms of intoxicating effects. In addition to carcinogens created and consumed by smoking, those same chemicals digested in your body are equally harmful. If you are committed to a healthy lifestyle, it might be safe to assume you are also a fan of Planet Earth. Organic farming is not only the safe and favorable option for your body, but also for the environment! Many of the chemicals and pesticides used in inorganic farming are contributing to the disappearance of a variety of bees, which we depend on for producing honey and beeswax, and most importantly for natural pollination of flowers, trees and produce. Moreover, the use of chemicals undoubtedly sinks into the soil and causes impurity in future crops and the poisoning of insects and animals that feed nearby. Pesticides may also cause long term damage to the land and may permeate proximate irrigation systems and water sources. 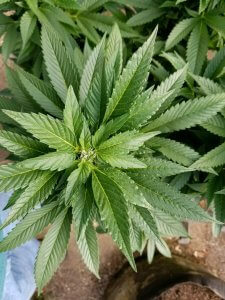 While it must be stated that there are no regulations in the cannabis industry as to what exactly qualifies as true organic farming, Foggy Daze Delivery is proud to report all of our flowers are grown outdoors, using 100% natural sunshine and no artificial lighting, and with absolutely zero chemicals, pesticides, or unnatural substances added to the soil or on the plants. We believe wholeheartedly that organic farming is the best way to farm and consume cannabis, for our patients and for our environment, and we are dedicated to our leadership role in the community!